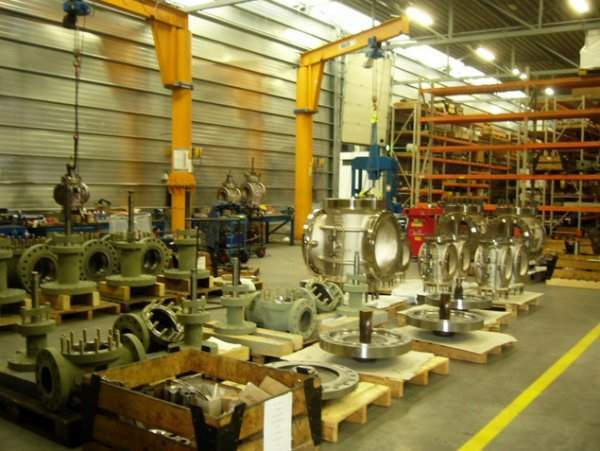 Netherlands-based Control Seal strives to be the best in the valve business. With its new organisational structure and in-house production facility, the European manufacturer is eager to improve its already high standards for both its valves and its service. 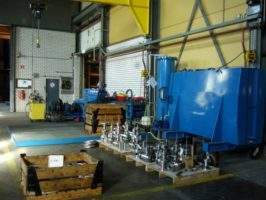 With two locations in Holland – Appingedam and Montfoort, Control Seal is a unique challenger in the valve business and has over 20 years of experience in valves and 100 years in precise engineering. Available in a broad range of sizes, pressure classes, materials and for specific applications (e.g. cryogenic and sand slurry), all at competitive prices, Control Seal’s products are well known and appreciated by major companies in the industry. Control Seal’s non-contact rising stem ball valves have a single-seat non-friction design. Designed for frequent switching and fluctuating temperature services, they are also recommended for emergency shut down and blow down service. Control Seal has also developed a non-contact rising stem ball valve design for sand slurry applications with a sand content of +/-50%. The rising stem ball valve has a sealing mechanism based upon axial movement only, which is not liable to friction or tearing. This friction-free quarter-turn mechanical energised sealing means no abrasion on the seal and, compared with other types of valves, an exceptional long lifetime. The stem of the Control Seal rising stem ball valve makes only a small axial movement when opening or closing. The stem is always balanced. No stem rotation occurs in combination with axial movement when opening or closing. The stem packing of the Control Seal rising stem ball valve can be adjusted while the valve is in service. All valves are executed with a back seat. 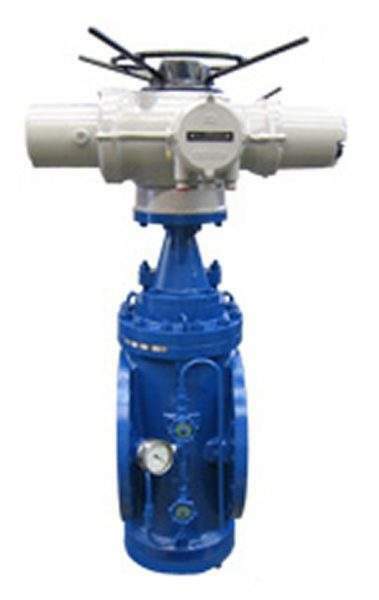 Control Seal valves are easy to operate and no special actuators are required. For remote operation, all kinds of actuators can be installed such as electric, pneumatic and hydraulic. As the Control Seal rising stem ball valve is designed for easy and low-cost maintenance, top-access is possible while the valve is in-line. The self-locking operating mechanism on all Control Seal valves means the closing member can not rotate due to in-line forces. Therefore there is no danger of line slam or shock. The Control Seal valves have been fire-safe tested by independent inspection agencies and has passed the tests to BS 6755 part 2 and API 6FA successfully (less than 30% of the allowable leak rate). 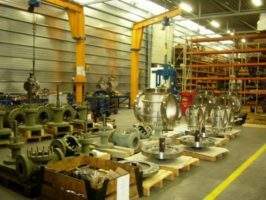 Today’s industry pays high attention to the process of selecting valves. Wrong selection can result in lost production time, high maintenance costs and in some cases environmental pollution. In many cases the industry requires double tight shut-off valves with up and downstream sealing. Control Seal has developed a valve which can meet these requirements. The non-friction double tight shut-off valve reduces space requirements and requires little or no maintenance. It gives a 100% bubble tight sealing upstream and downstream every time. The DBBV has a double block and bleed function up and downstream, which can normally only be achieved by using two valves and a spool piece with a drain valve. The use of Control Seal’s DBBVs can save costs, space and maintenance. 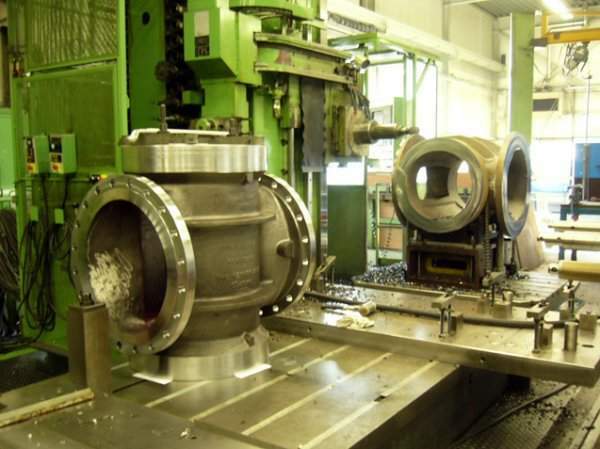 An important aspect of the lifetime of a valve is the sealing mechanism. Almost all valves, including ball valves, gate, plug and butterfly valves, have a sealing mechanism based on shear force, frictioning or tearing. The Control Seal DBBV sealing mechanism is based upon a radial move only. The sealing is not liable to shear, friction or tear. This means no abrasion on the seal and compared with other type of valves an exceptionally long lifetime. As the Control Seal DBBV is designed for easy and low-cost maintenance, bottom and top access is possible while the valve is in-line and no special tools are required. The self-locking operate mechanism on all Control Seal DBBVs ensures that the plug cannot rotate due to in line forces. Therefore, there is no danger of line slam or shock. A unique standard of the Control Seal DBBV is its backseat design. This makes it possible to service the stem packing while the line is under pressure. The integrity of the backseat has been tested by means of an extended test after fire safe testing. This extended test has been certified by an independent inspection agency. Control Seal DBBVs are easy to operate and all kinds of actuators like electric, hydraulic or pneumatic can be installed. They have been fire-safe tested and certified according to BS6755 part 2 and API6FA standards by an independent inspection agency. Control Seal, the Netherlands-based producer of rising stem ball valves and DBBVs for the oil and gas industry, has released a video on Hydrocarbons Technology. Control Seal non-contact Rising Stem Ball Valves have a single-seat non-friction design that is able to operate and has proven an exceptional long life span under extreme conditions. ControlSeal ranks among the world leading manufacturers of rising stem ball valves and double block and bleed valves. 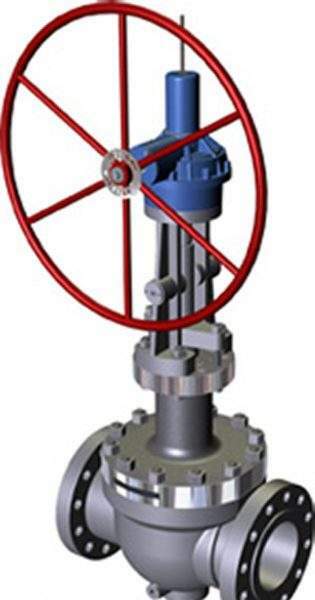 The present success of the company is based on a long tradition of designing and manufacturing valves, experience gained by the personnel and the ability to deliver both standard, non-standard and customized valves. Control Seal has developed the Double Block and Bleed dual expanding Plug Valve (DBBV) due to market demand for a non- friction double tight shut-off valve. 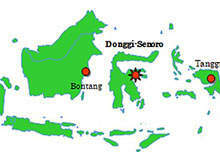 The Donggi-Senoro LNG project involved the construction of a natural gas liquefaction plant near Luwuk in Central Sulawesi, Indonesia. 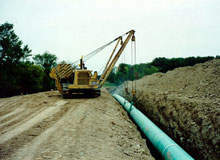 The Rover Pipeline Project is a proposed interstate natural gas pipeline system that will transport natural gas to US and Canada from processing facilities located in the Marcellus and Utica Shale areas. Barzan Gas Project is a $10.4bn project being developed by a joint venture (JV) of Qatar Gas and ExxonMobil. The JV appointed RasGas as the project manager. RasGas will also be responsible for operating the plant upon its completion. Control SEAL will be attending and exhibiting at the Rio Oil and Gas 2012 at Centro de Convenções, Rio de Janeiro, Brazil.